The Glasgow School of Art, working in partnership with leading Scottish digital media and software studio ISO, is has been awarded almost £75,000 by the Arts and Humanities Research Council (AHRC) to develop a prototype for an immersive exhibit which will enable visitors to have a deeper understanding of the meticulous restoration of the Mackintosh Building, it was announced today 30 January 2018. The exhibit will focus on the conservation the GSA’s collection of plaster casts a number of which were badly affected by the fire. One of only a handful of projects to be awarded the maximum grant from an AHRC call out for projects focussed on the next generation of immersive experiences, it beat off competition from around 100 other innovative proposals. The successful projects all demonstrate how the world leading creative industries and research sectors can come together to experiment with immersive technologies and create new experiences, and also show how the next generation of digital content can be produced and exploited within the UK Creative Economy. This interdisciplinary project will see researchers at the GSA collaborating with industry experts to create an interactive, immersive exhibit using 3D digital scans of the Mackintosh Building and the GSA’s collection of plaster casts which were in the building at the time of the fire. The exhibit will offer visitors the opportunity to engage more fully with the process of the restoration through the story of how the GSA’s collection of plaster casts were conserved and restored. The project will be led by researchers in the School of Simulation and Visualisation (SimVis) at the GSA working in partnership with ISO’s R&D department. It is one of three strategic projects GSA alumni ISO are presently collaborating on with SimVis. Others include user testing on ISOs digital interactives for the new V&A Museum in Dundee and ISO’s sponsorship of a PhD in Immersive Sound at the GSA. 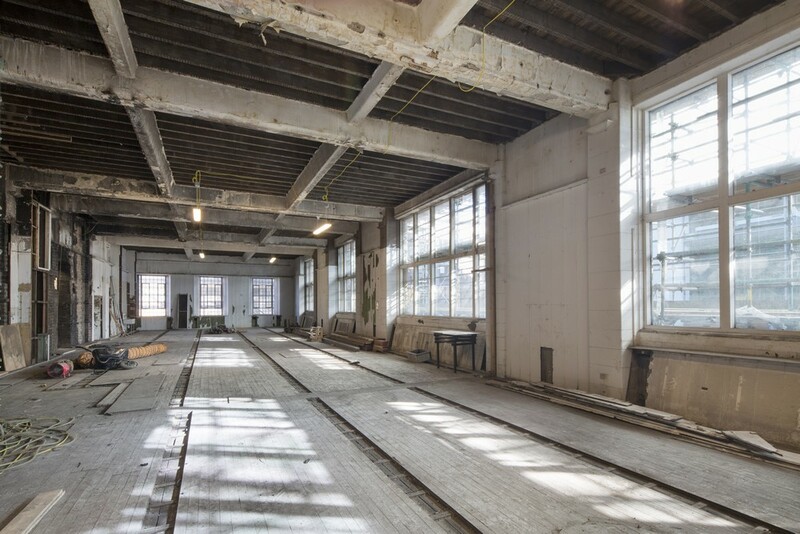 The prototype will take around six months to develop, and once completed the technology could then be applied to other aspects to the Mackintosh Building restoration and to create similar experiences for museums, art installations, visitor attractions and more. “Through the collaboration we will also demonstrate how industry professionals are critical voices that must be included in the conversation if projects such as this are to be successful,” he adds. Damien Smith, Partner at ISO said “The opportunity to return to the Mackintosh, working with SimVis to develop and deploy new visitor experiences is very exciting… we want to leverage the GSA’s renowned research skills for real world applications to shape new digital experiences. The Glasgow School of Art (GSA) was founded in 1845 as one of the first Government Schools of Design, as a centre of creativity promoting good design for the manufacturing industries of Glasgow. However, the School’s lineage can be traced to 1753 when Robert Foulis established a school of art and design in Glasgow, which was described as the single most influential factor in the development of eighteenth-century Scottish Art. Today, The GSA is internationally recognised as one of Europe’s leading university-level institutions for the visual creative disciplines. Our studio-based approach to research and teaching brings disciplines together to explore problems in new ways to find innovative solutions. The studio creates the environment for inter-disciplinary working, peer learning, critical inquiry, experimentation and prototyping, helping to addressing many of the great challenges confronting society and contemporary business. The School of Simulation and Visualisation (SimVis) currently specialises in postgraduate teaching and research. It has been a leader in research and development within the field of high-end 3D simulation and visualisation since 1997.Working with EU and UK Research Councils, Government departments and blue-chip companies, SimVis has created advanced visualisation products in various industries including the automotive, built environment, defence, shipbuilding and medical sectors. SimVis has a strong background in the medical visualisation sector, and has produced 3D digital models of selected anatomy to support activities such as pre-operative planning, risk reduction, surgical simulation and increased patient safety. SimVis is a partner in the CCDV (with Historic Environment Scotland) which has delivered the admired Scottish 10 and is delivering 3D models of Scotland’s most recent UNESO World Heritage site, the Forth Bridge. SimVis also created the award-winning 3D visualisations and soundscapes for the state of the art digital battle scenes as part of the transformation of visitor facility to mark the 700th anniversary of the Battle of Bannockburn in 2014 and last year announced a partnership with Tennent’s to work on the company’s new visitor centre. ISO is one of the UKs leading digital media and software studios, They create large-scale interactive and immersive media projects from their base in Glasgow’s Merchant City for clients across the UK and internationally. Specialising in design-led cultural projects for Museums, Galleries and Brand Experience Centres; they also create motion graphics and animated content for television and create ambitious online digital projects that are experienced across web, social and mobile. Projects include the original interface design of the BBC iPlayer, the media installations for the Titanic Experience Belfast and design of the Tate’s multi-award winning ‘Gallery of Lost Art’. They are presently working on National Museums in Kuwait and Oman, the V&A China, Imeperial War Museum London and closer to home the V&A Dundee and the Willow Rooms in Glasgow. In November 2016, the AHRC and the creative, digital and design KTN successfully co-hosted three workshops. These were able to bring together the cultural and creative industries together with researchers, academics, businesses, institutions and trade associations. The aim of the workshops was to test the appetite for a challenge-led research programme for the creative economy, whilst generating ideas on challenges, and formulate a set of principles and design questions which would inform the development of the initiative/programme itself. Immersive and interactive technologies were highlighted as a key challenge area in both our workshops and the ISCF engagement workshops. The AHRC are therefore launching this call on Immersive experiences in partnership with EPSRC. Both AHRC and EPRSC will be co-funding this call but we will also be exploring opportunities throughout the lifetime of this call to link up with ESRC and Innovate UK, and other UKRI funders. the next generation of digital content and services can be conceptualised, produced and exploited within the UK Creative Economy. This is not a technology-only research programme, nor one exploring interfaces but a programme to explore the new technology-enabled, multi-sensory, narrative, interpretative, and performance experiences that will drive future creative and commercial value. This will require interdisciplinary working between the Arts and Humanities and other disciplines from Psychology to Engineering, and inter-sector working between researchers, creative practitioners, and businesses. 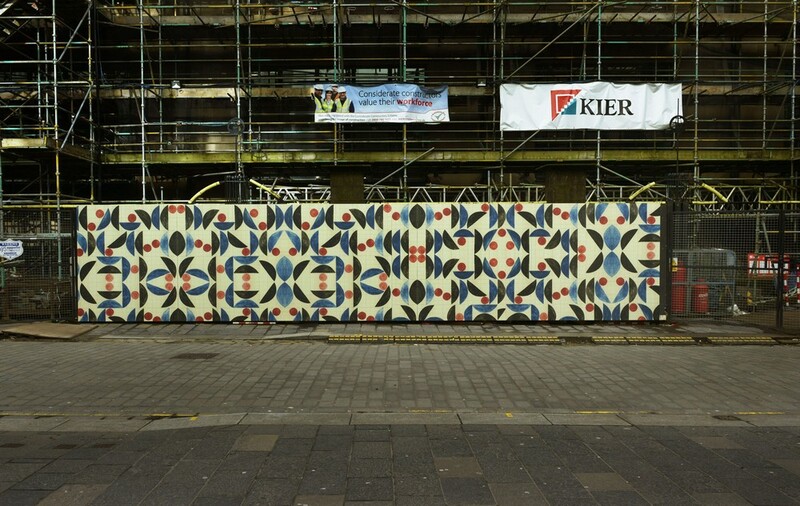 A new artwork by the leading artist Louise Hopkins has been unveiled on the central wall in front of the Mackintosh Building on 24 October 2017. A 2.5m high and 12.2m long digital print on metal, Dance Number, was specially commissioned by the GSA and is the artist’s largest work to date.